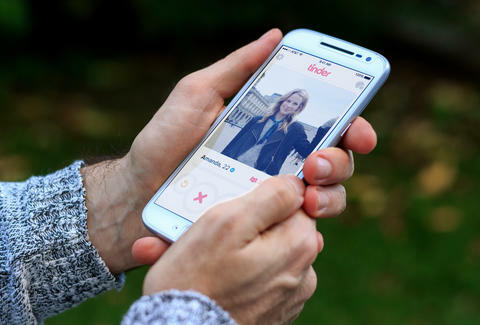 There are many basic and predictable missteps one can make while swiping through the great revolving door of Tinder. Reddit user BostelJ however, is a man who doesn't make those mistakes. He's presumably thought long and hard about how to perfect the art of online match-making, and is fast climbing the ranks of soldiers swiping the good swipe. His method is an interactive game. In it, he leads his match through what seems like a haunted light house, asking various questions. The match initially chooses one of three doors, and begins wandering through the lighthouse. BostelJ then presents his questions, which have multiple answers labeled either A,B, or C.
At the end of the game, presumably regardless of what answers the match takes, they're led directly to his DMs either on Snapchat, his cell phone, or both. The thread went viral on Reddit, amassing 21413 points and 636 comments. In a comment, BostelJ was all nonchalant about his efforts to build full-scale imaginary worlds on a dating app. He wrote: "I put maybe 5 minutes worth of actual typing effort into this, and picked a match that I could throw a risk on lol. Didn't expect this to blow up, but honestly it was well worth it in the long run. I had fun coming up with random options/scenarios on the spot anyways." Comment from discussion I created an interactive story on Tinder, then she slapped me. Love hurts, especially in the 21st century.